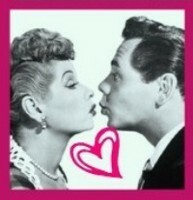 A halik Versions- Lucy and Desi. Lucy and Desi <3. Images in the 623 East 68th kalye club tagged: lucy i love lucy lucille ball ricky desi arnaz.